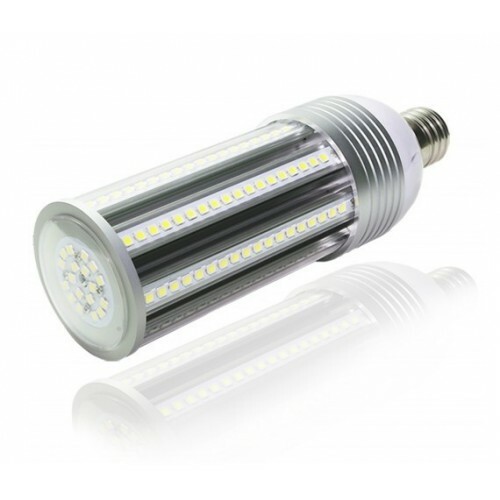 Our "LL E39-54W" is a 54 Watt LED "Corn" type lamp which is a cost effective upgrade for HID, HPS, MH, Mercury Vapor or CFL lamps, useful when the fixture or head does not need replacement. This product is available with an internal driver for the most efficient choice of installation. It is the perfect LED retrofit for 250 watt HPS. Diameter x Length / Weight 3.7 x 10.6" / 2 lbs.